If learning a new language is on your bucket list, we have you covered with some wonderful news! 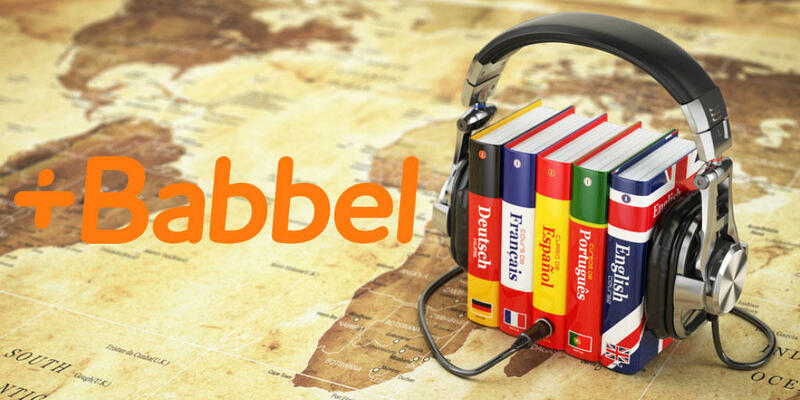 During this Spring Radio Membership Drive, WLRN is thrilled to partner with Babbel, the online language learning tool, and a leader in the online language learning industry. This great thank you gift will take your love for learning and public radio beyond the airwaves. With your donation of $15/monthly, or $180, we'll provide you with a one-year subscription to learn a new language with Babbel. With 14 languages to choose from including Spanish, Portuguese, German, French, Russian, Indonesian…and even English, you’re sure to find the perfect one for you. Think you can't learn another language? Well, think again! Babbel’s bite-sized courses make it easy to learn, and regular review sessions will ensure you retain what you learn. Covering 8,500 hours of content, you can set your own pace and learn anytime, anywhere by syncing your lessons across your desktop and mobile devices. The courses - tailored to your native language - are meticulously designed to guarantee you language skills that you can use right away. Don’t miss your chance to sharpen your brain and learn a new language anytime, anywhere by making a contribution today to WLRN Public Radio, South Florida's only NPR News source. It’s time to get babbled! Disclosure: In order to receive this digital subscription thank you gift, your email contact information will be provided to Babbel for them to provide you with activation details for thank you gift access. Feeding South Florida and Best Friends Animal Society. Feeding South Florida is a regional food bank serving nearly 400 nonprofit partner agencies throughout Palm Beach, Broward, Miami-Dade, and Monroe Counties. The more you give, the more you feed! WLRN has partnered with Best Friends Animal Society to encourage WLRN listeners to help address the staggering number of homeless pets in shelters throughout South Florida – all while supporting the news, programs and information you have come to rely on. For over 30 years, Best Friends Animal Society has been running the nation’s largest no-kill sanctuary for companion animals and building effective programs that reduce the number of animals entering shelters. Best Friends Animal Society brings together animal shelters and rescue groups from across the country - in this case from South Florida - to hold mutual adoption events, public education campaigns, and fundraising drives. Working together, these groups are able to save many more animal lives than they could in isolation – helping provide for the critical needs of a dog or cat in their care. $1 is the average daily cost to Best Friends to provide for the critical needs of a dog or cat in their care. Why Best Friends Animal Shelters? Through WLRN’s partnership, funds raised for South Florida shelters and rescue groups will be directly applied to Best Friend’s lifesaving mission to increase adoptions, large dog & cat transport out of state, low cost spay and neuter resources, and the building of local coalitions and network partnerships. Florida and the Southeast region are one of the areas of the country that Best Friends considers a “mission critical hotspot”—where disproportionate numbers of pets are being killed in shelters. Florida is the sixth highest state in the number of cats and dogs killed in shelters in the country. That's why Best Friends is prioritizing work here in South Florida. They know that if they can save them here, they will save them everywhere. When they do, they’ll be exponentially closer to reaching their goal of no-kill across the nation by 2025. Is there a complete list of Best Friends network partners and affiliate shelters located in South Florida? Is there an easily accessible/user-friendly web page to look up this information? Yes! Visit https://bestfriends.org/our-work/supporting-network-partners. You can search by state map or by zip code to find local network partners. Best Friends currently has 140 partners within the state of Florida – with 26 located in South Florida. This list continues to grow for South Florida, with more and more being added today and in the (near) future. Is there a comprehensive website where can people look up the animals in need available for adoption or sponsorship in South Florida or their local area? Because our network partners are independent organizations, we do not have a centralized list of available adoptable animals. The only animals we list on our website are those that are housed at Best Friends owned pet adoptions centers (located in Los Angeles, Utah, Atlanta, and New York). Individuals would need to visit the website of each network partner to determine if/what animals were currently available at each network partner. How will the funds raised help/benefit the local South Florida animals in need? Do the funds go towards food, shelter, etc.? Funds raised go towards lifesaving programs of animals in need - programs such as adoption events and programs, pet transport that moves animals to no-kill shelters (both in state, and out of state to maximize lifesaving potential), increased low-cost spay/neuter resources, implementation of targeted community service programs (such as return-to-owner and community cat programs). $1 is the average daily cost to Best Friends to provide for the critical needs of a dog or cat in their care. Paws 4 You Rescue, Inc.